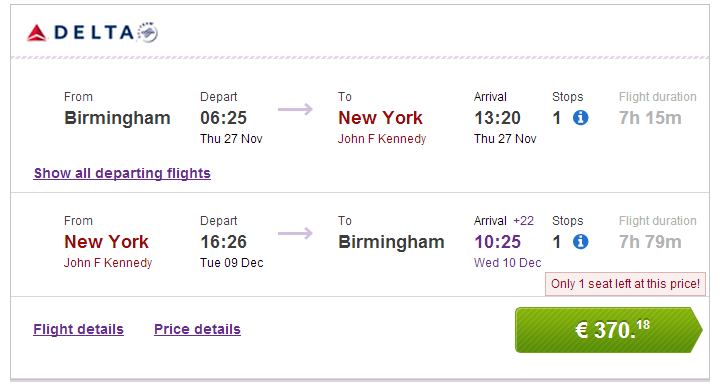 Cheap flights to USA for Christmas: New York for €370! Delta Airlines and Air France now offer cheap flights to New York from UK for Christmas dates. 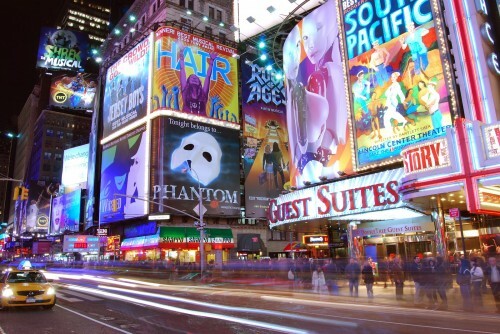 Return flights from Birmingham to New York are available for only €370. Ryanair and Easyjet has tons of flights to/from Birmingham all over Europe. There is one stopover in Paris but the total travel time is pretty short. Travel dates are mostly in November and December. Book via BudgetAir for the best price! « Cheap flights to Thailand: Bangkok for €359!